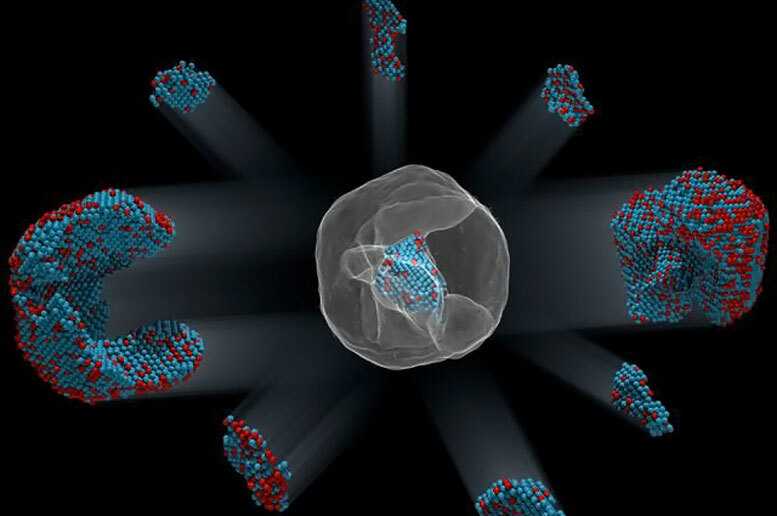 By taking multiple images with an advanced electron microscope and using powerful reconstruction algorithms, researchers measured the coordinates of more than 23,000 atoms in a technologically important material. The results demonstrate that the positions of tens of thousands of atoms can be precisely identified and then fed into quantum mechanics calculations to correlate imperfections and defects with material properties at the single-atom level. This research is published in the journal Nature. Be the first to comment on "Physicists Decipher Material Properties at the Single-Atom Level"